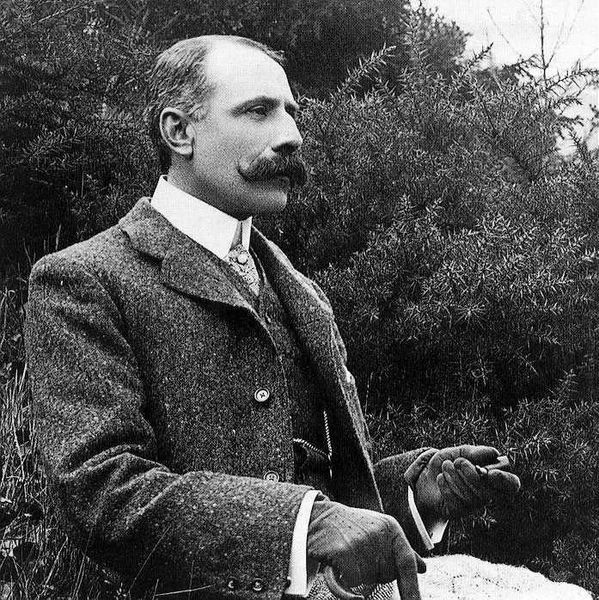 Edward Elgar wrote several "Pomp and Circumstance Marches" and the best-known is No.1. This march has a slower "Trio" section, and Elgar re-used it in the final section of his Coronation Ode (written for the coronation of King Edward VII) with the words of "Land of Hope and Glory" written by the English poet A. C. Benson. The full orchestral Pomp and Circumstance March, together with the verses of "Land of Hope and Glory" soon became a feature of the Last Night of the Proms. The music (sometimes informally with alternative words) has been used at sporting events in the UK and elsewhere. In the US, the music is frequently played at High School and College Graduation ceremonies as "The Graduation March". This arrangement of "Land of Hope and Glory" can be played as a piano solo or used as an accompaniment for a choir. For personal or non-commercial use the music may be downloaded as Sheet Music in PDF format, or as a MIDI or MP3 file. More Patriotic Songs and National Anthems can be found in our article National Anthems and Patriotic Songs.